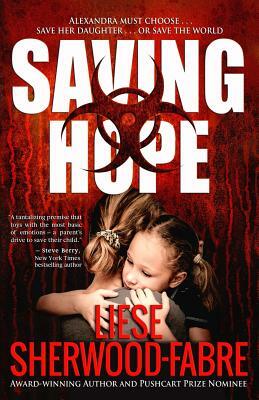 Steve Berry, NYT Bestselling author, describes Saving Hope as "a tantalizing premise that toys with the most basic of emotions--a parent's drive to save their child." Alexandra Pavlova must choose: save her daughter...or the world. In one of Siberia's formerly closed cities, Nadezhda Pavlova's unemployed parents struggle to provide for her following a bout with pneumonia that weakens her heart. Racked with guilt that her former job in the Soviet Union's bioweapons labs may have created the child's heart condition, Alexandra vows to do all she can to save her daughter's life. Through Vladimir, a lifelong friend, Alexandra enters the post-Soviet economy and Russia's gray market. Her association with Vladimir and his Iranian contacts bring them to the attention of an FSB--formerly the KGB--agent. When she learns of a plot to export a deadly virus to Iran, Alexandra must decide whether she can trust Sergei, the FSB agent, to help her save both her daughter and the world. Chanticleer Book Reviews says award-winning author Liese Sherwood-Fabre, "comes through with flying colors, creating her cliffhanging thriller not only with literary skill and authenticity regarding life, crime, and medicine in Russia..., but also with great emotion and story-telling ability."